You walk to your bathroom in the morning and enter a pool of water right in your bedroom. The drain is blocked, and water has pooled all over, damaging furniture and electronics! 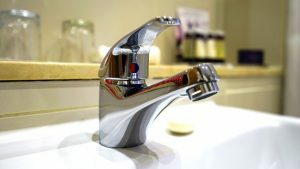 You hear some drip-dropping sounds of water from your kitchen and bathroom, meaning your taps are dripping. All of a sudden, there is no water supply in your home, the main pipe has burst, and no plumber is picking your calls. Well, it might not be possible to face all these issues at the same time, but they happen. Do not think of a plumber when they do, because he can show up when is far too late and there is too little they can do. Have our contacts in your speed dial, because we are the ultimate plumber who can save you in case of an emergency. Whether in your house or organisation, some plumbing problems can not wait. If you decide to put them on hold, they can wind up causing a great deal of damage. You may disregard that leaking pipe thinking that the problem is too small to fret about, but eventually, this can result into a huge concern, not forgetting that it can speed up the growth of mold, which can impact your family’s health and that of your workers. For that reason, if you have any plumbing issue that needs instant attention, contact us, and we will be there in minutes. For a fact, emergency services will cost you more than standard services. We are not after making riches, but providing unbeatable services to our customers and maintain the outstanding track record we enjoy today. For that reason, in case you are not sure whether you are in an emergency or not, call us, and we shall help you out. Our professional will ask you a few questions which will assist examine the issue. If it is an emergency, we will come to you as soon as we can. If it is a problem that can be fixed later on, the technician will advise you on what to do, and we will make sure we come at a time convenient to you the next day to repair it. In case of an emergency, every minute counts. Even though we are the most trusted plumber in the neighborhood, we take minutes to get to your residential or commercial premises. For that reason, an issue such as a gas or water leak can cause a lot of damage before we show up. To secure your house considering that you are important to us, we will encourage you on what to do to reduce damage. Call us now! All our emergency plumbing services cover both business and house owners. Whatever your needs are, we will always be there to repair them whether it’s on the weekend, a public holiday, or in the middle of the night. Call us or fill the reservation form on this page, and we shall provide you a free quote and start working on your project ASAP!